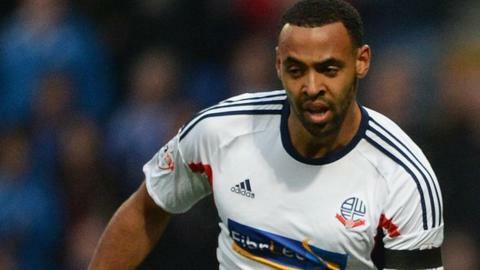 Bolton Wanderers will be without midfielder Liam Trotter for around 10 weeks because of a hamstring injury. Trotter was forced off during Bolton's Capital One Cup win over League One side Crewe Alexandra on Tuesday. The 26-year-old joined Wanderers on a free transfer from Millwall in the summer after a loan spell last season and has played five times this term. Bolton, who have yet to win in the Championship this season, go to managerless Leeds United on Saturday. Manager Dougie Freedman told BBC Radio Manchester: "Mark Davies and Dean Moxey will miss the game, and Liam is out for 10 weeks. Kevin McNaughton has a slight chance of playing. "It's a difficult game for us because we don't know what team is going to play, but we'll prepare as best we can."